We really appreciate the time you've taken to complete the My 15 Minutes survey and we value your comments and feedback about your experience with the program. In the coming months, we are looking forward to offering some other new programs and opportunities for you to continue improving your life (and business), 15 minutes at a time. There is so much more we want to share with our wonderful (and growing) My 15 Minutes community! If you have any further thoughts or suggestions, just let us know. 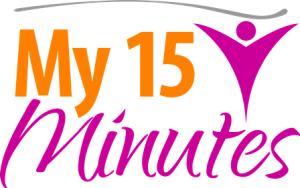 Drop us a line at support@my15minutes.com.au and we'll get back to you within 24 hours.